Makers, developers and hobbyists that are creating projects that need to body tracking signals or track fluctuations in body functions for medical devices, may be interested in a new Arduino compatible development board called the BITalino. 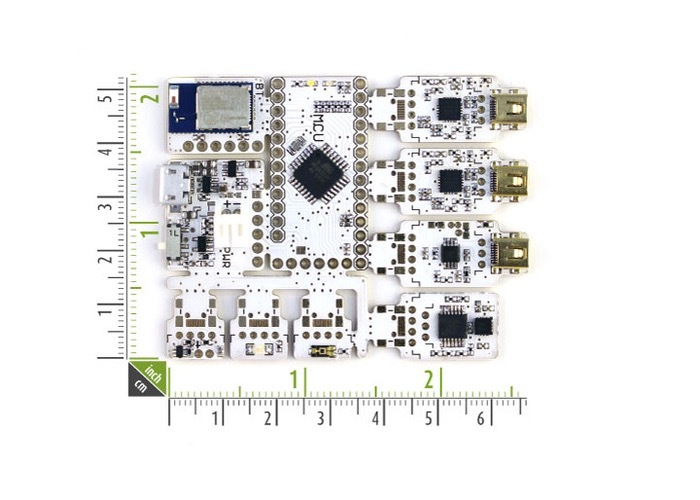 The BITalino has been specifically built for developers or makers that are interested in building self tracking applications based on information from a human body. Watch the video after the jump to learn more about the BITalino project and see it in action. “BITalino is a low-cost, purpose-built, all-in-one hardware and software toolkitdesigned for quick and easy creation of cool projects with body signals, development ofquantified self wearable devices or apps, and/or learning how to build medical devices. Comparative professional-grade tools for this purpose can easily cost in excess of $10,000; our vision is to make them available for anyone, and harness the power and creative thinking of the open-source movement to boost innovation in biosignal-based applications in unprecedented ways. So if you think BITalino is something you could benefit from, visit the Kickstarter website via the link below now to make a pledge and help BITalino become a reality.